At The News Wheel, we’ve taken a jaunt through Wisconsin before — but America’s Dairyland has so many more fun and quirky roadside attractions. Brighten up your next road trip through the Badger State with these three Wisconsin roadside attractions. 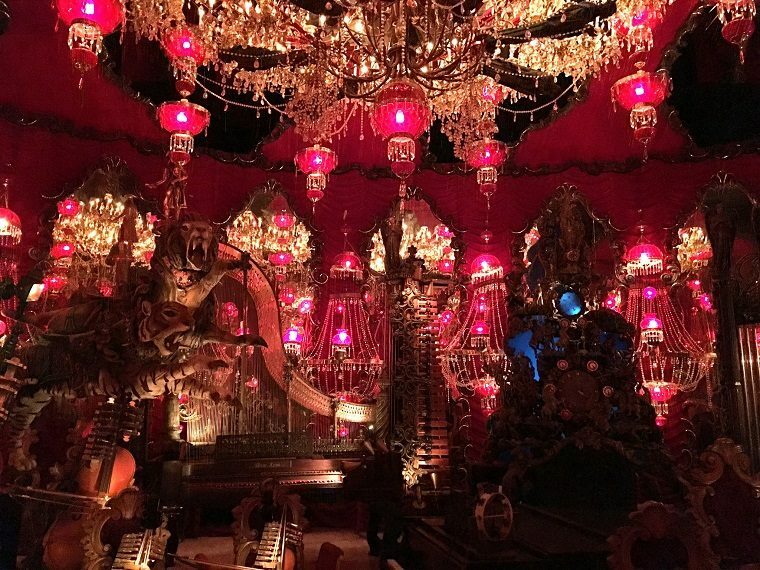 The House on the Rock is a triple threat — it’s an attraction, inn, and resort complete with a championship golf course. But what you’re here for is the vast and varied exhibits in this wonderfully bizarre house designed by architect Alex Jordan Jr. Sure, you’ve got to pay admission, but where else can you find a nautical-themed room with a 200-foot-long sea monster, or the world’s largest carousel with 269 handcrafted animals? If that’s not your style, maybe you’ll enjoy the Infinity Room — a massive, windowed precipice that stretches high above the forest canopy. While Wisconsin calls itself the Badger State, Rhinelander is Hodag territory. Back in 1893, a man named Eugene Shepherd allegedly spotted a 200-pound, horned, alligator-like monster called a Hodag. The burly beast managed to battle Shepherd and evade capture until 1896, when he managed to knock it out with a chloroform-soaked sponge affixed to the end of a pole. Conveniently, this confrontation went down just before the Oneida County Fair, where he exhibited the “captive Hodag” to curious onlookers — in exchange for a nickel, of course. The Hodag quickly became a local icon, and the town embraced the big green beast as its mascot. You can get in on the Hodag hoopla by visiting the Rhinelander Logging Museum, which has a gift shop stocked with Hodag swag. 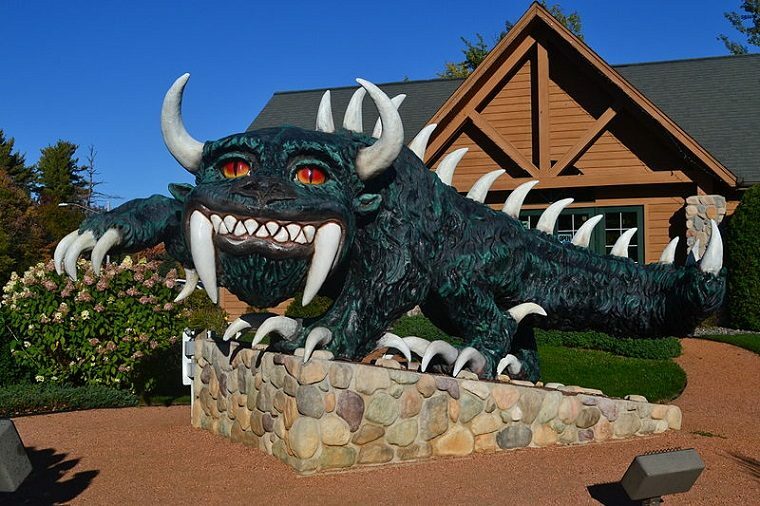 But you don’t even have to stop in Rhinelander to catch a glimpse of this mythical monster — the town sports multiple Hodag-themed billboards and statues, including one with a cowboy hat and guitar. 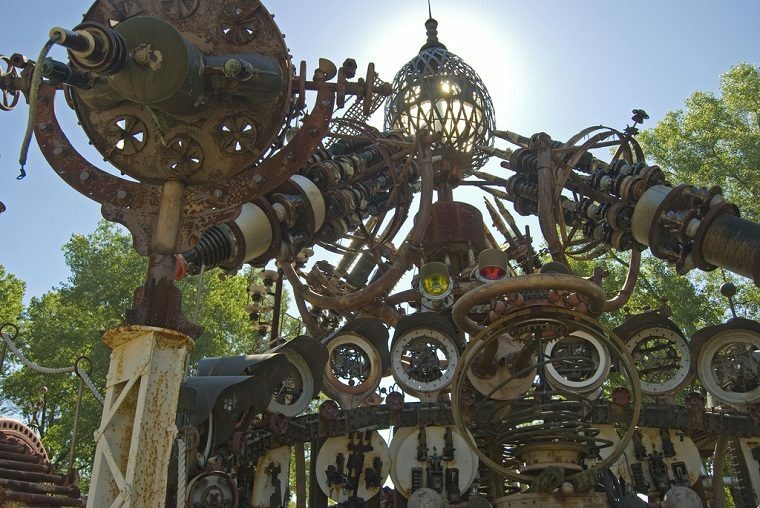 If you’re a science-fiction fan with a taste for art, you’ll probably love Dr. Evermor’s Art Park. It’s more than just an incredible scrap-metal sculpture exhibit — it’s the union of steampunk and raygun gothic aesthetics, crafted long before those styles had names. And it was all designed by one brilliant artist, Tom Every, better known as Dr. Evermore. His star attraction — a massive retro sci-fi contraption called the Forevertron — holds the honor of being the largest scrap metal sculpture in the world. It’s more than just cool to look at, too — Dr. Evermore invents fascinating lore for each of his pieces. While the free art exhibit doesn’t have interpretive signs, the sculptor sometimes walks the grounds giving impromptu lectures on the mythology of his world.